Three Tesla Motors employees were killed in a small plane crash in East Palo Alto yesterday. 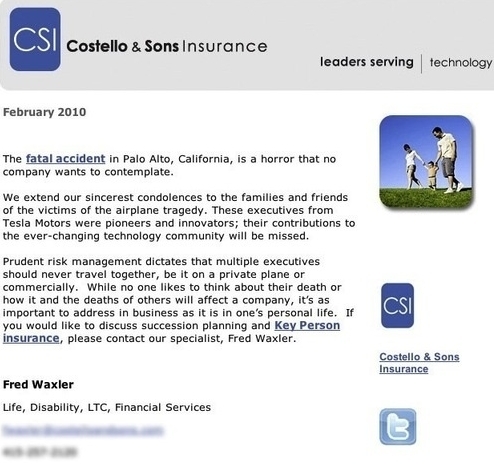 And Fred Waxler of Costello & Sons Insurance wanted to get an email ad out stat to make sure you knew that he was standing by…ready to help. Really. Like they needed to blur out the phone number- two Google clicks and whammo.